Having us install storage in the garage may look easy. Sometimes installs are straight forwards but then we also come across the more difficult ones too but we are prepared. In the photo you see one of our 4 x 8 ft storage racks installed. If you look closely two of the four supports are installed 90 degrees to the others. When we install storage in the garage we have the tools and equipment on hand to deal with problems that come up. Half way across this ceiling the trusses change direction as the pitch of the roof also changes at this point. Not a problem we make the adjustments and alterations so the storage rack can still be installed just where the customer wanted. 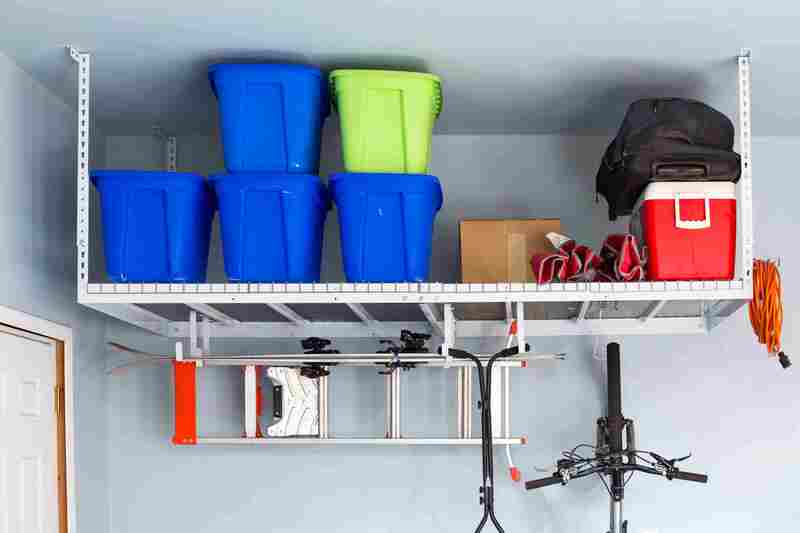 If your thinking about us install storage in a garage then you can be comfortable that we have seen many installs and know how to make the install go well. Give us a call and we can get one installed for you.